The latest edition of the Graduate School of Business’ (GSB) ‘View From the Top’ guest lecture series featured Elizabeth Holmes, founder and CEO of the biotechnology company Theranos. I was impressed by her strong yet quiet demeanor. During her Q&A, Holmes discussed a startling conversation she had with the CEO of The Girl Scouts, Anna Maria Chavez, that brought up an issue that had never crossed my mind. She recalled a time when she was speaking to an audience consisting of the Girl Scout program’s valedictorians. “Raise your hand if you think you’re going to be a leader in the technology business,” Chavez remembers asking the girls. When trying to explain to Holmes why no one had raised their hands, Chavez realized that there weren’t enough women leaders in technology to be role models for the young girls. “Women should be founders of multibillion companies and be CEO,” Holmes addressed the audience at the GSB. She urged that we need to create female role models of women to help give girls confidence in pursuing and succeeding a career in technology. 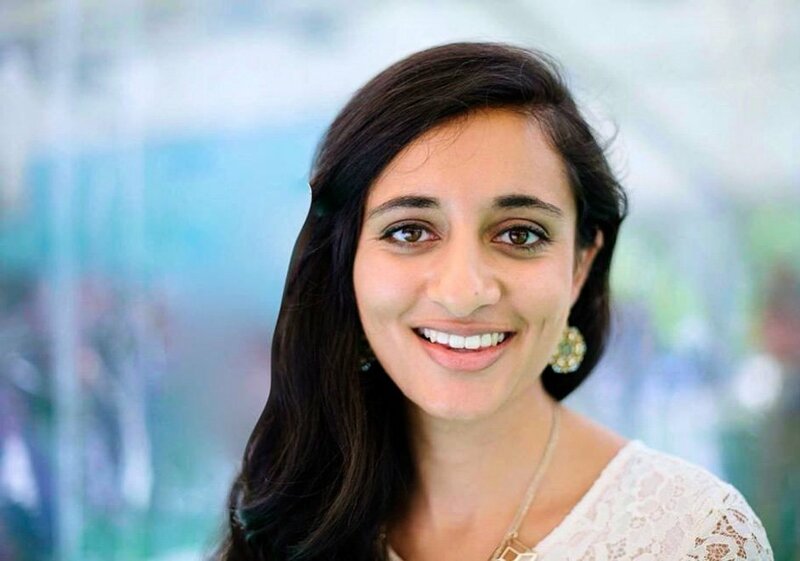 The first profile is Ellora Israni ’14, cofounder of She++, a 501 (c) non-profit that helps empower college and high school women to pursue a career in the technology. She currently is a software engineer at Facebook and serves on the board of She++. Her dream is that She++ is no longer necessary because we’ve achieved gender parity both in the numbers and how the people are treated. The Stanford Daily: How did you get interested in CS? Ellora Israni: When I came to Stanford in 2012, CS was not nearly as big as it is now. The biggest major was Hum Bio and I was actually studying psych. I never had heard of CS in my life. I ended up taking CS106A the last quarter of my freshmen year to fulfill the engineering GER and ended up liking it a lot more that I thought I actually would. I took other CS classes and decided to switch majors and declare CS. TSD: When you were studying CS at Stanford, what were the class demographics like? TSD: Was there ever a time you doubted yourself because you were one of the few women in the CS class? EI: I don’t think I ever consciously thought about gender as much as I did that the fact that I didn’t come from the same kind of learning background as my classmates. Coming into CS 106A at Stanford, the supposedly introductory class, you have a lot of people with prior programming experience. A lot of comes from the fact that when we’re little, boys are encouraged to play with video games or computers and girls to play with dolls so we don’t get that exposure early on. When I got to Stanford, I was behind and I didn’t fit in. Things like this can really shake your confidence, especially when someone says something that in any other situation wouldn’t be a big deal. For example, you walk into office hours and the TA asks “Are you sure you’re in the right room?” In a normal situation, that would be a helpful comment. But in this situation you feel like you’re already behind and don’t fit in so on top of that comment makes you really question those things. TSD: What changes have you seen since you’ve left Stanford? EI: I think the biggest change has been consciousness. In 2012, when we started She++, no one was really thinking about the fact there weren’t too many women in tech. No one was talking addressing if it was something we wanted to change. We marketed She++ as Stanford’s first conference on women in technology and now there are so many more initiatives. In parallel, on the national side, there’s Girls Who Code, Code 2040 and all of these non-profits that are springing up around the issue of diversity in tech and covering more media. While the numbers are slowly trending to a better place, the fact that we have national attention in the media is what’s going to accelerate change. TSD: Who were your female role models growing up? EI: [Pauses] This is probably one of the reasons I didn’t enter the technology industry. I had a lot of female role models, but they weren’t in tech. I consider my mom and grandmothers my role models, but none of them were in technology. My favorite TV show was the Gilmore Girls and there were no women in there that worked in tech. I read a lot of historical fiction and lot of the women were princesses. So when I look at all the women especially in books and movies, none of them were in technology. That’s why I never made the connection between being the woman I wanted to be and being a woman in technology. EI: Promising. One of the shifts I’ve had in the past years is to talk a little less about women in tech or certain races in tech and talk about intellectual diversity in tech. There’s a lot of research that diverse teams build better products. If you have 10 copies of the same person in the room, you’ll build a product for that type of person and solve a narrow problem. If you talk about intellectual diversity, you get a little less push-back about why race and gender is important. You get down to the core idea, which is that we all have different experience based on where we grew up, our race and our gender and all of those experiences produce intellectual diversity. This is what produces products for the entire world. TSD: What advice do you have for freshmen considering CS as a major? EI: The mistake that gets made is people think, “If I study CS, I have to be in the tech industry or be a software engineer.” That’s a misconception because there’s such a wealth of opportunity. CS majors aren’t only software engineers – they’re product managers, designers, startup founders and directors of technology at non-technical organizations. Think less about the technical aspects of it all and think more about how is CS going to be a tool to getting me to what I want to do. Ellora Israni is a former Stanford Daily Desk Editor.